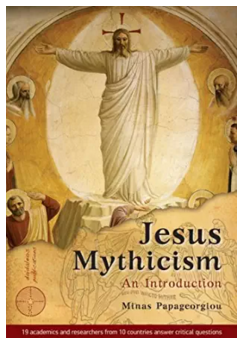 This book is exactly what it says on the tin: a collection of various interviews, mostly with people who identify themselves as “mythicists” regarding Jesus. It’s also a translation; at times it shows, but the translation is fairly good overall. It couldn’t do much better at doing what it set out to do, which is to collect a large number of brief interviews with notable figures (and less notable figures) promoting mythicism or researching aspects of ancient history otherwise, which is why it deserves a good review. The book doesn’t advance the state of the question on this subject, nor does it set out to do so. Another question to ask might be whether the book is worth reading, and that depends on who’s asking. If someone is keenly interested in the personalities that are discussing the historical existence of Jesus, the book is worth reading. If one is stimulated by a broad-strokes overview of many different ideas regarding the origin of Christianity, the book is worth reading. Otherwise, the book might be passed over with little lost. None of the individual authors interviewed really get the opportunity to develop their ideas in a very convincing way, primarily because of the requirements of space. Personally I enjoyed reading the interviews with Robert Price, with Earl Doherty, with Richard Carrier, and with Maria Dzielska, an expert on Apollonius of Tyana (and some others). But I would certainly not recommend reading these interviews instead of reading the books themselves. What’s presented here is simply a small literary morsel for those still left with an appetite after enjoying the main course found in such works. Other comments regarding Jesus Mythicism: An Introduction online. This volume contributes to the burgeoning literature regarding the historical existence of Jesus. It is welcome to have more such books coming from academics, and Lataster has a good point to make when he says that a non-specialist point of view has its own advantages, particularly in being less bound to traditions and vested interest. Hopefully, with time, the discussion will make its way back to specialist circles, as something more than a subject to hack away at half-seriously (which is the attitude that Ehrman, Casey, McGrath, and others unfortunately have adopted, to a man). It is, after all, rather foundational to the study of the New Testament and Christian origins. The strengths of this book lie with the author’s uncompromising analytic approach. Lataster is able to identify the weak points of other’s arguments quickly. And, in this respect, the book excels. The author also prescinds from the excesses of acerbic polemic, which is welcome in and of itself. If someone were interested in a basic outline of what is deficient with the arguments for the historicity of Jesus as they have been presented by academics in the 21st century, one couldn’t do much better than Lataster’s book. In terms of the presentation of a hypothesis of the non-historicity of Jesus, the book is derivative. That is not, of course, an issue in and of itself, as novelty for its own sake is far too often pursued in this field, to disastrous results. So it is good that Lataster sticks to a defense of what seems to be the best non-historicity hypothesis available. However, in virtually no particular case does the book advance the state of discussion on any of the questions of interpretation of texts or questions of historical criticism generally. There is generally either a reference to the analysis of Doherty and Carrier or a brief reference to a particular “mainstream” scholar who agrees, almost as if an opinion that is both “mainstream” and congenial to the non-historicity thesis need not be probed further. For a book about a historical question, advancing a thesis academically (rather than just summarizing current opinion), the degree to which it skims on the surface of the historical issues is a little disappointing. Nonetheless, it is still a good overview of the subject. Lataster hints in the beginning of the book that he intends to withdraw from this discussion, for professional reasons and because of the overt hostility he has seen, and that is regrettable. It’s regrettable that the academy in general does not currently sustain a level-headed conversation with earnest researchers such as Lataster, who ask important questions, and the loss is felt by anyone who is truly curious about the answers. 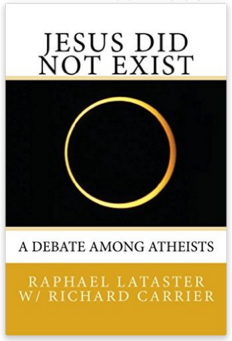 Other comments regarding Lataster’s book Jesus Did Not Exist: A Debate Among Atheists online.